In these 10 years at Safe Creative, we have witnessed a little bit of everything related to copyrights. How to find the (alleged) infringer? 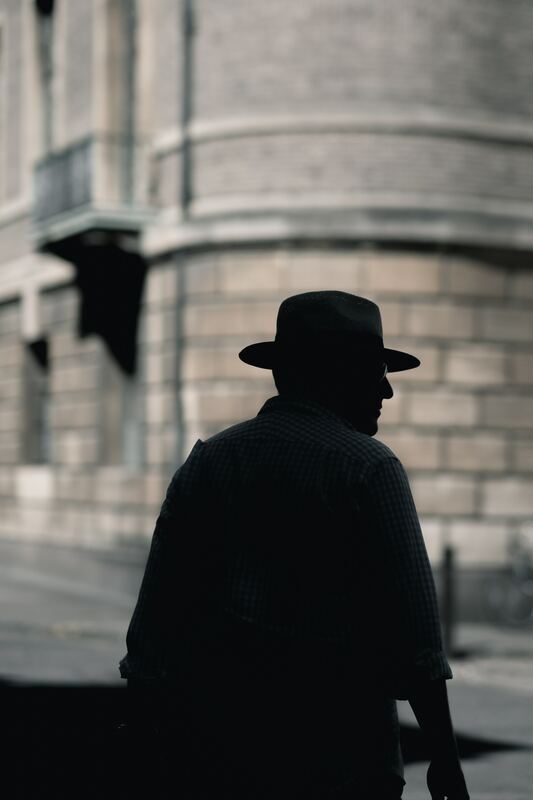 Although figuring out the identity of an infringer should be easy, it isn’t so. Recently, I had to locate several people and ask them to remove one of my photos, which I had to remove from the market myself. I believe my experience can be useful to other creators, even if in this particular case the use of the photos didn’t really mean copyright infringement. Out of all the websites I reached, about half of them refused to identify a contact person, at least at first. Some requests were a real challenge, and as you can imagine, I couldn’t find some people at all. First of all, it is important to determine the kind of text you should send to request the withdrawal of a work or to report a possible infringement. You should always be polite and correct, there is no reason to be rude or insult anybody. Just be clear about your rights, and state that you choose to reserve the right to take legal action if required. It is also advisable to get professional legal advice before reaching the infringer. The following tips go from the easiest situation to the most complicated one. 1. Look for an e-mail. This would be the best-case scenario. It’s when in the very article, or on the webpage’s contact area, you can find the name of the person who published the content and their email address. Keep in mind that, due to spammers, many pages conceal emails in different ways. Still, it’s worth searching. For example, it is common to find an “at” instead of the @ symbol. Extra tip: The best thing about having a name and an email address is that you can use Safe Creative’s notification service. It will send the email using the certification technology of Safe Stamper, and you will receive a piece of evidence of your demand. 2. Look for a contact form. When there’s no visible email address, you’ll frequently find at least a contact form. Look for it in the “Contact” or “About” pages. These forms are convenient, but they make certifying the demand a bit harder. Some will send a receipt notification to your inbox, but it’s hard to prove that you sent a message requesting the withdrawal of the content. Extra tip: If it’s a critical situation, you can send the message from a certified browsing session at Safe Stamper. 3. Reach them via social media. A third way to contact the people behind a website is social media. They probably have a profile on Facebook, Twitter, or LinkedIn, and you may find the links to those profiles on the site itself. This communication channel isn’t so straightforward, but it usually works too. Again, if you find the situation requires it, we recommend you to get a certified browsing session of your messages on social media. 4. File a DMCA takedown request. 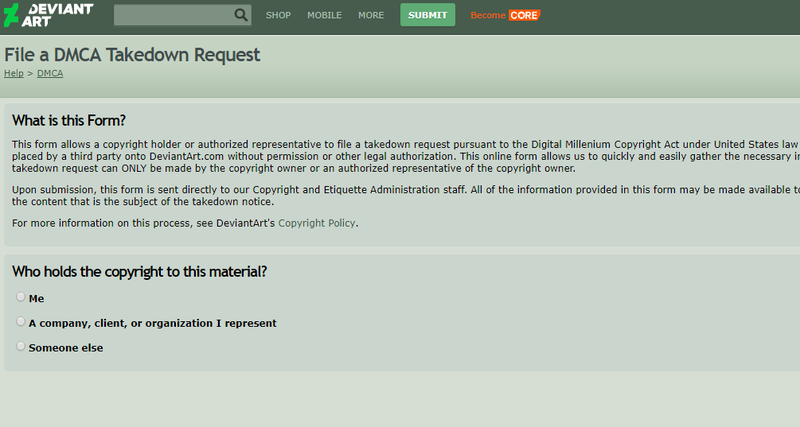 DMCA takedown form, on DeviantArt. Many websites, more so if they work from the US, have a DMCA (Digital Millenium Copyright Act) takedown form to comply with the legal requirements of the US Copyright Law. DMCA takedown notices are a standard procedure that allows the copyright owner, or a representative, to identify certain content as their property and place a formal request if it’s being misused. 5. Go to the “Terms” page. Sometimes, the location of the contact information isn’t evident at all. Try to check the site’s “Terms and Conditions” page- you may find email addresses, names or contact links among the text. 6. Go to the “Copyright” page. Yahoo! copyright information, found in “Terms and conditions” > “Intellectual property”. There might be a page inside the site dedicated to copyright issues. It can have different names. 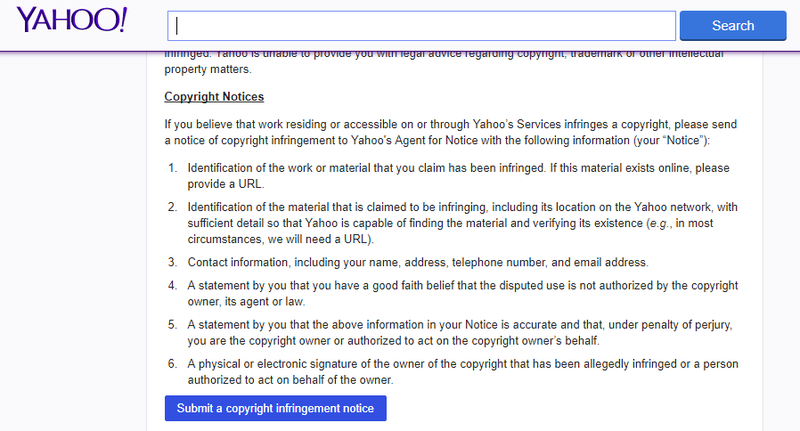 If you find it, you will probably find the DMCA form or other contact information in there. 7. Look for the sitemap. 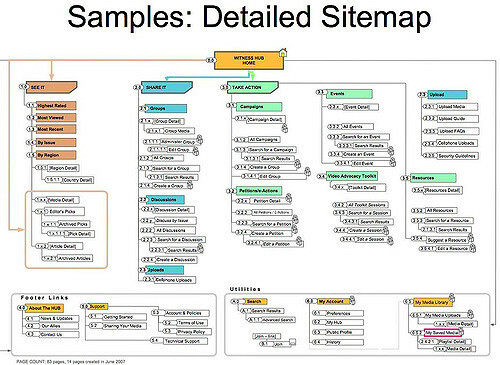 A visual example of a sitemap, by Kent Bye. When there is no name, no email, no form, no social networks, and no DMCA form, things can get tricky. The first thing you may want to try is to locate the website’s sitemap. This is a sort of organizational document in which, sometimes, you can find a page with an email or contact information. It is sort of like the index of the site’s content, and it uses a set of standard tags to arrange all the pages it contains. It is often used in order to help browsers to understand the site better, to know where the information is and scan it quickly. It can improve the site’s position in search results. The link to the website’s sitemap is usually found either in the header or the footer. There isn’t always one, but it’s frequent on corporate websites and those with too many options or a complicated navigation system. 8. Google some names and browse social media. This is when everything else has failed and you have to start playing Sherlock Holmes. Keep searching. If you know the name or nickname of the article’s writer, or the site’s editor, you can look for similar or related profiles on social media. Start on LinkedIn, try to figure out who’s working on that site. If the nickname of the author, editor, or webmaster is original enough, you may find them on Twitter, Facebook or other sites. If you still can’t find them, go to Whois. This free service checks a domain on the Internet and tells you who registered that name, sometimes including contact information. Still, the real information of the person who registered the domain is private or hidden by a hosting service. This is due to spammers who used to find emails on this kind of sites. Extra advice: Better via email than a phone call. If you find a phone number, don’t tell them your request just yet. Ask for a contact email address or similar. That will make it easier to certify the takedown notice, if you want to have a piece of evidence to prove that you sent it on a certain date. 10. Contact their hosting service. 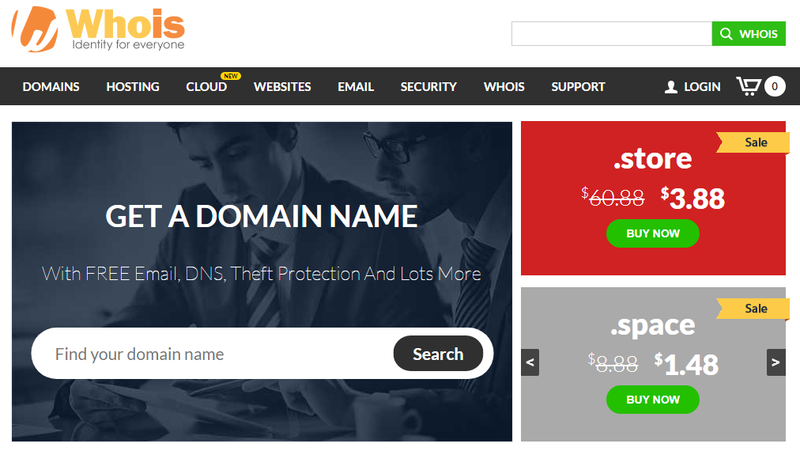 Although Whois doesn’t show the real information of the domain’s owner, it is possible that they’ll show at least the hosting service that they’re using, or the service that’s hiding the data. This is an almost desperate measure, but you can always contact that company and inform them of your issue, so they can contact the domain’s owners on your behalf. Obviously, they won’t give you the name of the person who registered the domain, because of privacy and data protection reasons, but you can try to ask them to do the favour of reaching them for you. I can say, based on my own experience, that it works. Extra: 11. Seek professional assistance. Lastly, after you’ve tried everything else, a lawyer can help you. There are also specialized services dedicated to requesting the withdrawal of content. And if the situation is very critical, you could contact the computer-crime police. Still, our advice is to try to use all friendly communication channels and options available first. If you know any other trick, or you’ve done something different to track copyright infringers, leave us a comment. It will be very interesting to know other options and add them to the list. Cover photo by Craig Whitehead via Unsplash.